David’s connection with Tutira Station spans more than four decades, beginning in the mid-1960s when he spent two years there as a Farm Cadet, gaining practical experience toward a Diploma in Valuation and Farm Management. It was this association with the Station, and his subsequent business experience in the agricultural, horticultural and education sectors that attracted David to join the Guthrie-Smith Trust. 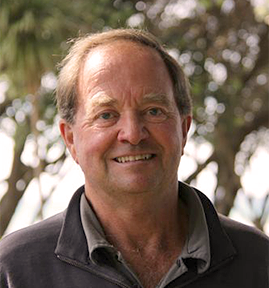 David believes the Arboretum is progressively becoming a fantastic asset for Hawke’s Bay for many reasons, including the education, ecology, biology, outdoor experience, leisure and tourism purposes it fulfills.